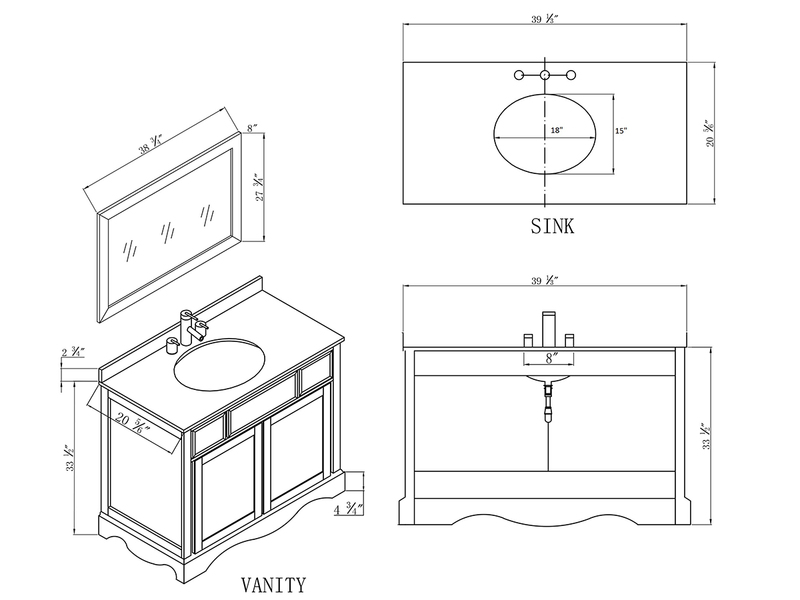 The 39" Morice Single Vanity combines the elegance of modern Espresso vanities with the regal tastes of traditional styles to give you the perfect transitional vanity. 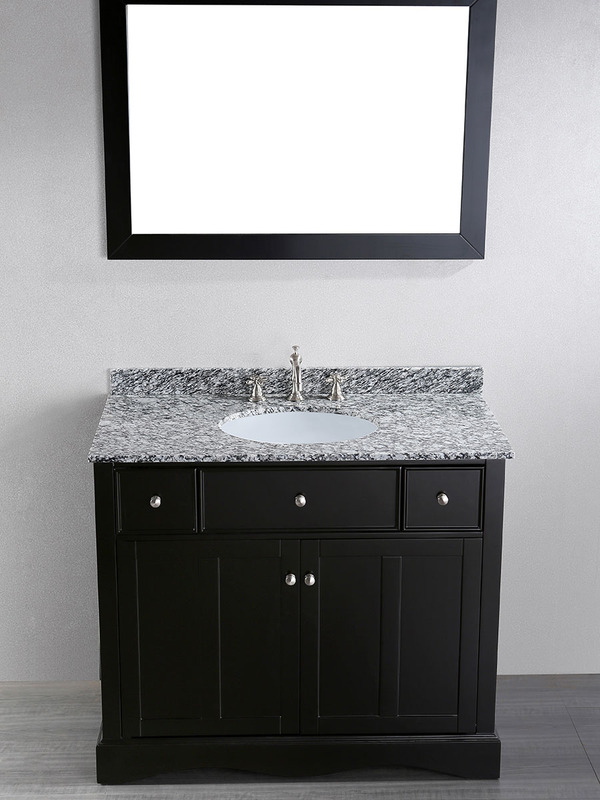 Its cabinet is constructed from solid birch and finished in a beautiful Black finish, then accented with striking silver accents. The Carrera Marble top makes an equally contrasting appeal and comes equipped with a ceramic undermount sink and pre-drilled with three faucet holes. 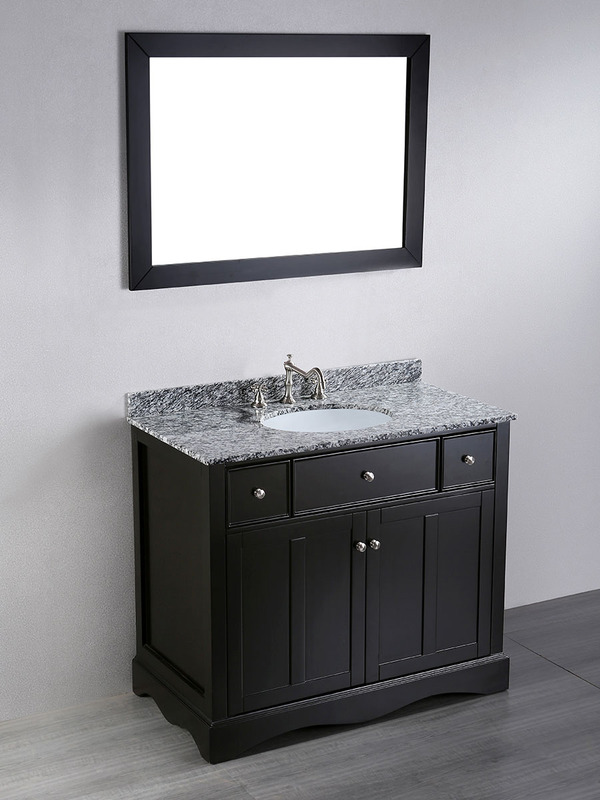 This vanity also features two side drawers and a double-door cabinet to give you plenty of storage space. It also includes a matching mirror.